An outdated air conditioner could be costing you your hard earned money with its low efficiency and unexpected breakdowns. 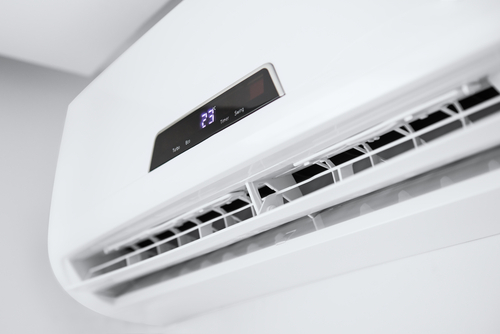 If you’re finding that your bill has been higher and your home isn’t cooling down as much as it used to, it’s time to consider a new air conditioner. If you’re thinking of a new or updated air conditioning system, you’ll appreciate the great service and high-quality products that ProServ Las Vegas has to offer. Air conditioning systems are an investment that can last for years when the right one is chosen. Because these systems aren’t cheap it’s important to have it installed professionally. At ProServ Las Vegas, we are licensed and insured to replace and install ac systems. Before beginning any work, a written proposal will be given to you to remove any hidden information or costs. A well maintained air conditioner typically lasts between 10 and 15 years. If you find your AC unit is in that age range and needing costly repairs, it may be time to consider a new system. If your system is facing extensive repairs and you foresee more issues along the road it would be wise to invest the repair costs towards a new system. Your current air conditioner could be costing you a lot of money to operate if it’s old or working improperly. If you’re tired of paying high energy bills now is the time to consider purchasing a new system. Air conditioning systems are now manufactured to be much more energy efficient. Are some of the rooms in your home not cooling down even after adjusting the thermostat multiple times? This could be a sign of an aging air conditioner or incorrect size system for your home. Regardless of what the issue is, you want your system to do its job and keep your home cool. Proserv came out to my house to fix my air conditioning and gave me the option to fix or replace. I chose to fix it originally but it broke again. When I had them come out again they applied what I paid for the repair to a new unit. Very good experience.